This posting reminds me of the times I tried to get to First Baptist from eastbound Chapel Hill St. I'd get to the Mangum St. light, clearly see my destination, and ponder (long and hard), "Can I really get there from here?" I knew some who went the wrong way on the loop; I preferred U-turns and cutting through the plentiful parking lots. One of the problems that we have personally experienced with design such as this is that it creates swaths of paved space that is not utilized during the evening. As such, it is dark and deserted and gives the impression that downtown is done at sundown. I remember this building well. Went though first to forth grade at Fuller before we moved to the county. Later I went to work with Durham County Schools and worked in HR. I would walk through the building and relive some wonderful memories. While I've previously profiled the first 'Graded School' constructed in Durham (i.e. public school,) private schools began in fits and starts - a log cabin school near the present intersection of Dillard and Main, classes in churches, etc. The first private school of substance in Durham began in 1852, on land donated by AJ Rigsbee at the current northwest corner of Cleveland St. and the former East Chapel Hill St. There is little information about the school, except that the principal, and perhaps only teacher, was Bennet C. Hopkins. The school was referred to as an 'academy', but there is no record of a formal name. In 1860, the upper floor of the building was taken over by the Masons, who established the 'Eno Lodge'. In 1865, the Durham [Male] Academy (no relation to the present-day Durham Academy) was chartered by several "leading citizens" of Durham, and this organization took over the school administration. 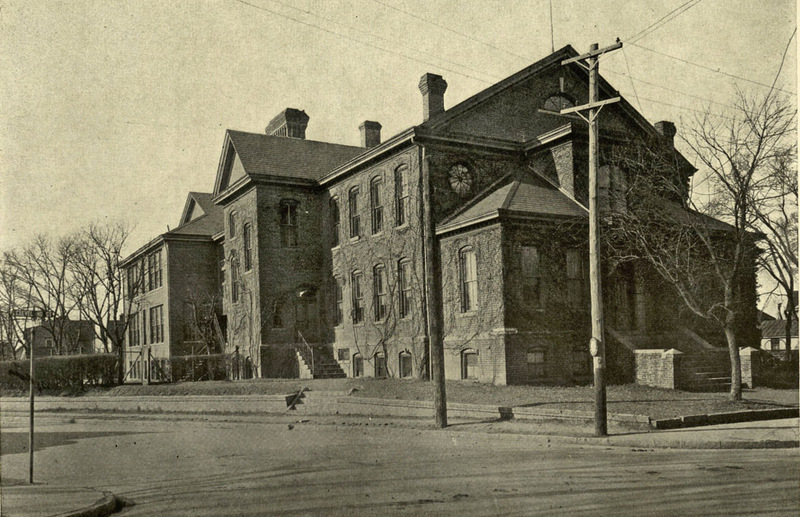 The school was the epicenter of childhood education in Durham through the late 1800s. Professor LT Buchanan, who came to Durham in 1877 from Granville County to teach at the school, left in 1880 over what he felt was unfair beating of a student by the principal. He started his own school with Charles McIver, but then returned to Durham Academy in 1887 as its principal. The campaign to establish a Graded (public) school in Durham was a long and contentious one, lasting from the late 1860s through the late 1880s - issues of race, taxing all property owners for the education of chilren of some taxpayers, and opposition from the private schools marred a fight that roiled Durham, the legislature and the court system with lawsuits, vote recounts, and political shenanigans. 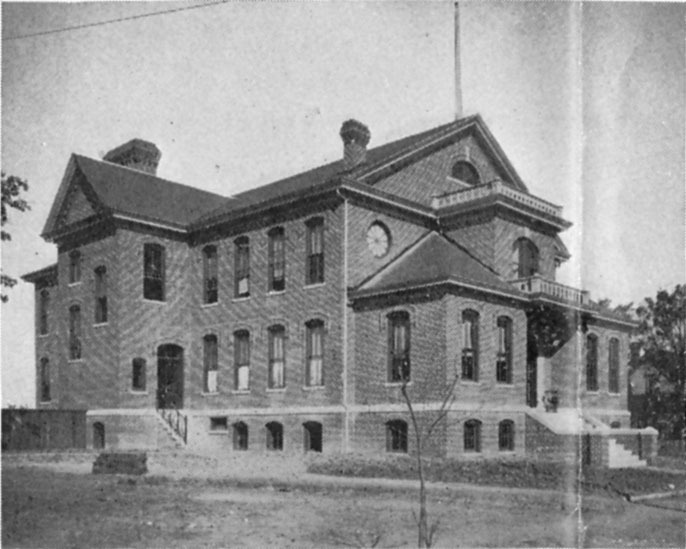 The measure was eventually enacted, and the first public school was established in 1887, in a Wright's tobacco factory building on West Main St. near Five Points. The Durham Academy continued to operate with Buchanan as principal until 1897. What happened next is somewhat unclear - a second graded school for white students was established at this site in either 1897 or 1899, which was named the Fuller School, after Bartholomew Fuller, an early member of the Graded School Committee. It appears that the Durham Academy may have folded by that time, and that the original school was torn down to construct the Fuller school - but this is unclear. 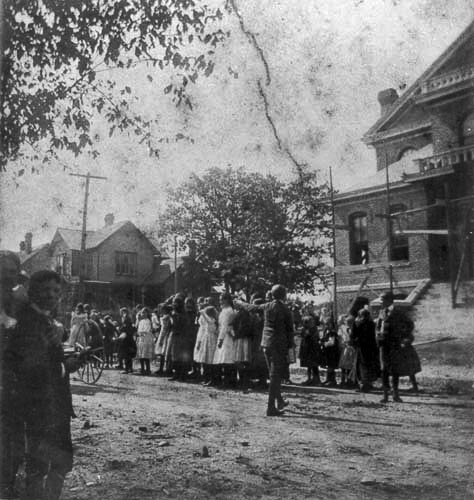 The Fuller school in 1906, looking northeast from East Chapel Hill St., near N. Mangum St.
Likely an earlier picture of part of the Fuller school ~1900, with kids out front, looking northwest from East Chapel Hill St. near Cleveland St. It appears that the building may be under construction. The high school operated until March 13th, 1937, when, like the first graded school on Jackson St., it burned to the ground. It was replaced with what the historic inventory describes as an "austere" neoclassical revival structure, which continued the Fuller School name as an elementary school for the east side of Durham. 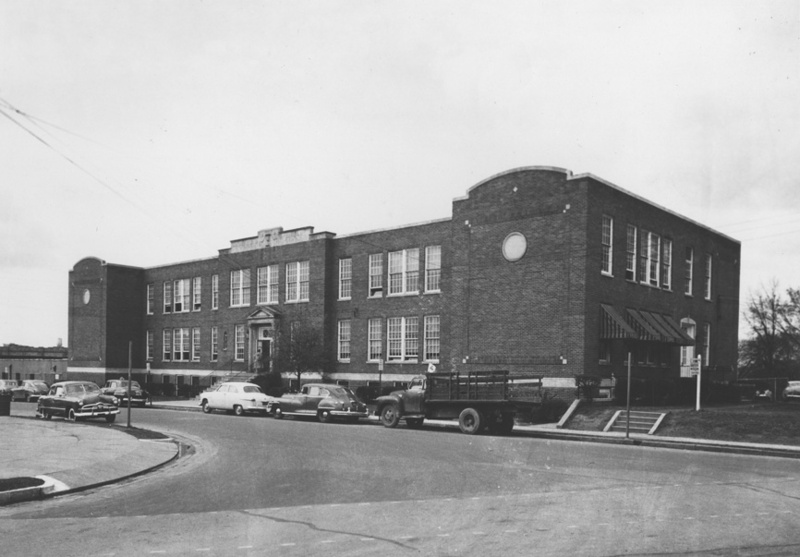 The 'new' Fuller School in the 1950s, looking northwest from East Chapel Hill and Cleveland Sts. In the late 1960s/early 1970s, this building was severed from the remainder of East Chapel Hill St. to the west by the construction of the Loop. After demolition of the A&P, with the Loop about to go through - 1973. It isn't clear to me when this closed as an elementary school and became an administration building for the public schools, but it had occurred by the late 1970s. 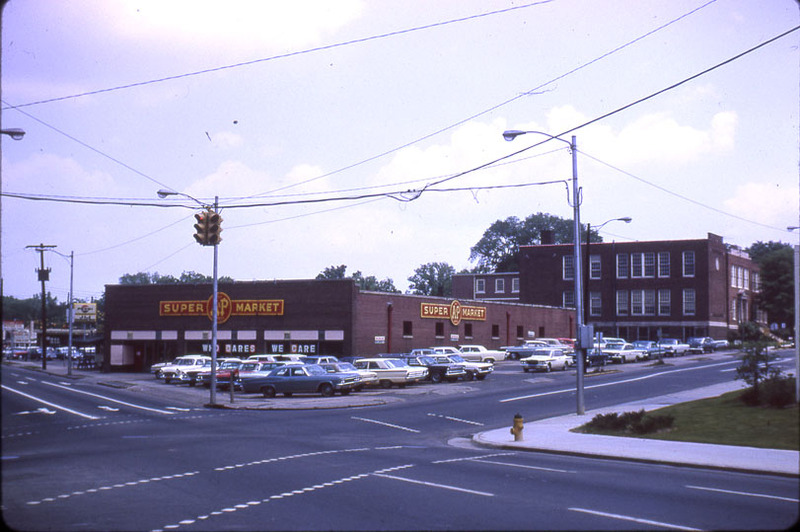 The remaining east-side segment of East Chapel Hill St. in front of this building was converted to a parking lot after the Loop was built. Fuller School / Administration building, 2006. This building helps give a more concrete definition to the feeling of separation caused by the Loop and bad land uses around the Loop. If you are standing in the 400 block of East Chapel Hill, next to the Rue Cler bakery, this building is/was one city block away. It feels far, far away, though, in part because of the mess o' roads, but also because of the useless Rotary Park, the service entrance of the former police station, and the squat suburbanism of the Durham Convention and Visitors Bureau.